Book Review: Books related to cycling can take many forms—a racer's biography; an account of the Tour de France; training tips; accounts of epic journeys; custom bicycles—but the story of the bicycle as the subject of an actual business enterprise is fairly rare. We have fine coffee-table books on the histories of Peugeot, Bianchi, Raleigh and Opel but a recent book gives an insider's account of the rapid rise and fate of Canadian brand Cervélo, history writ recent. I first came upon the Cervélo brand when competing in a triathlon event in Hull, Québec, two decades ago. I noticed a number of bicycles (all with blue frames, I think) with the distinctive bold script. I was only participating in the cycling portion of a team triathlon but the Cervélos all seemed to belong to the Serious Athletes competing in all three events as individuals. The bicycles were probably the Eyre model, introduced in 1996. The name Cervélo, a contraction of “cervello” (Italian for “brain”) and vélo (French for “bicycle”), is, like Eyre, an example of the company's tendency to use unpronounceable names occasionally. 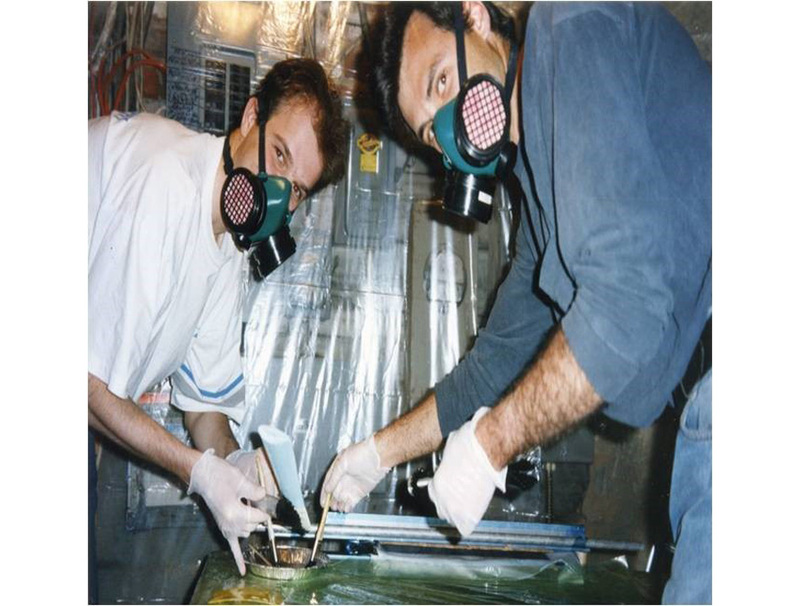 The story begins in 1995, when Canadian Phil White and Dutch student Gerard Vroomen met at the McGill University in Montreal composites materials lab. White had a business degree but was pursuing a Master's in Engineering, while the slightly younger Vroomen was in Canada to complete his final project for his degree in mechanical engineering as an international student from Eindhoven University. 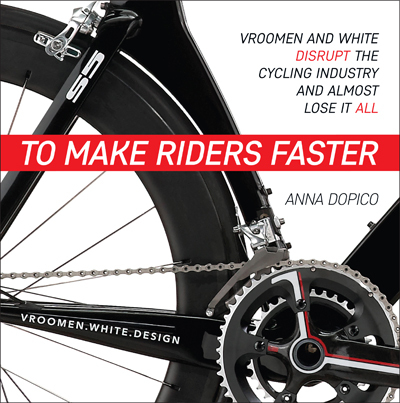 Vroomen had a specific interest in bicycles as his project was to be an aerodynamically-advanced time trial bicycle, while at the same time White was designing bicycle prototypes for his own classes. Serendipity brought them together in the lab but soon afterwards Vroomen was banished as the instructor had no interest in bicycles and had promised the facility and materials to other students. So an unexpected partnership evolved, albeit not always so smoothly. Gerard Vroomen had written to double World Champion Gianni Bugno about his ideas for a bicycle and the pro was enthusiastic and encouraged the project. So this is how Vroomen and White found themselves in the basement under Vroomen's rented room, hand-shaping components for their first bicycle, the radical Baracchi, named after the once-celebrated two-man time trial in Italy. Test rides of the superbly aerodynamic bicycle were promising as it was both fast and stable. Vroomen took it to the Netherlands to present his final project for his degree and received more encouragement from Bugno and his team. 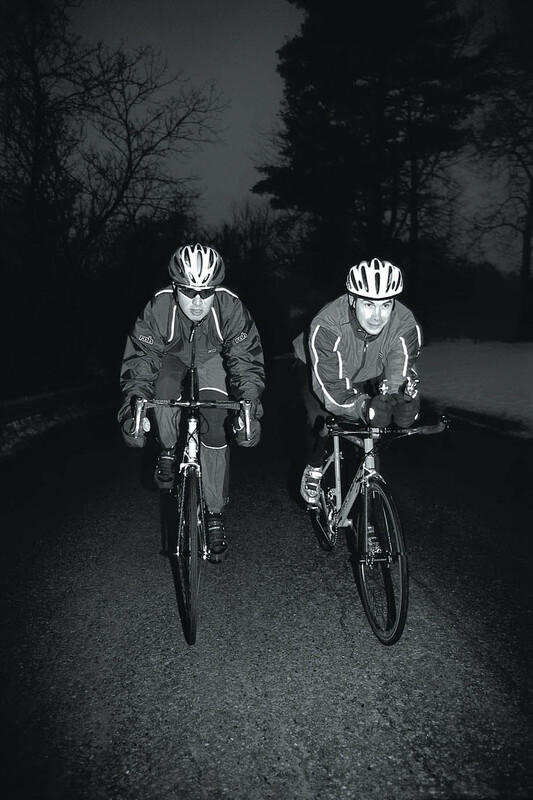 In the meantime, Phil White felt that they had found a business opportunity and started some market surveying of triathletes, a group that felt it was underserved by bicycle makers. In the end, Bugno's sponsors would not go with something as radical as the Baracchi and it was probably too difficult to manufacture cost-effectively anyway. But the duo decided to move forward and start their business. Faster—it is the word that encompasses the whole story of the company. As hard to imagine in 2018 when everyone is marketing an aero bike that aerodynamics were not a factor in bicycle design twenty years ago. Sure, Campagnolo had fiddled a bit with quasi-aero components with the C-Record Aero group in the mid-1980s (including a wild water bottle) but nobody was looking at frame design. The Cervélo team was told that they needed to use butted tubing, thicker at the ends, but they felt that industrial welds were sufficient for the airfoil-shaped tubing they planned to use. They made the tubes themselves or had them custom-made by suppliers. The first bicycles, a simplified version using ideas from the Baracchi, was built from aluminum and called the P2, the first in what was to become the successful line of Cervélo time trial and triathlon bicycles, leading up to today's composite P5. The book is an examination not only of the engineering that went into the various models produced by the company from its beginnings to 2012 but also the business decisions that were made. The mid-1990s marked the beginning of the “virtual company”--typically, a firm would be responsible for design and marketing while manufacturing would be entirely subcontracted out. 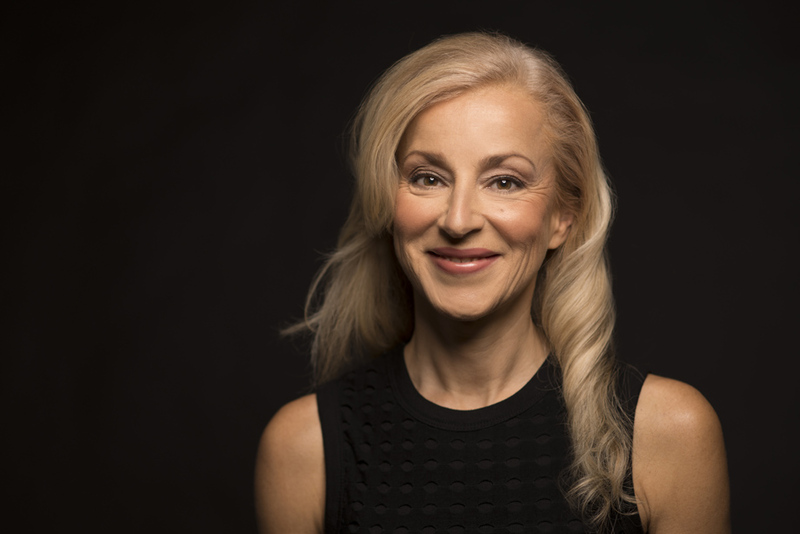 From a shoestring operation in an unheated shed in the White's backyard in Toronto, Cervélo grew incredibly rapidly and much of the book is about how they tried, with mixed success, to manage that growth. One can only imagine the issues having to deal with suppliers on other continents who sometimes made their own “improvements” to a design. There were certainly a lot of frequent-flyer points. There is no doubt that this was a highly innovative concern in engineering terms. The team knew that lightness, while desireable, was not as advantageous as reducing drag. 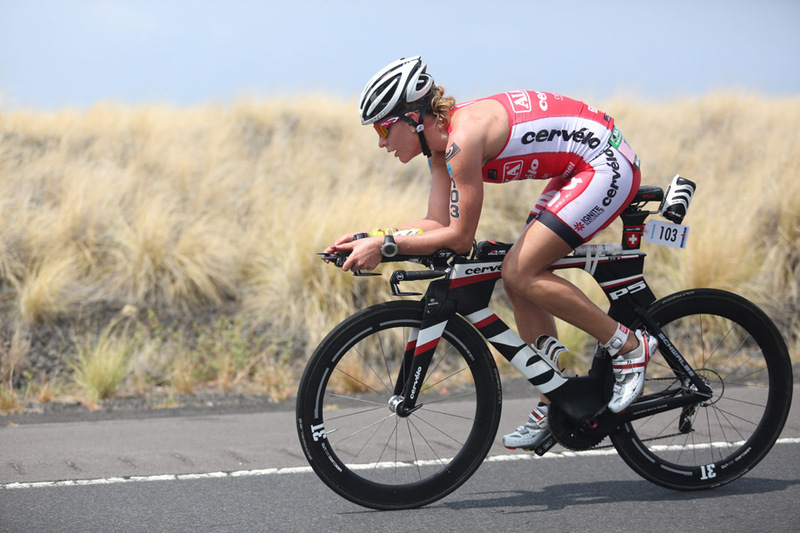 Triathletes soon recognized this and Cervélos were much in demand and present in large numbers at the Ironman in Kona. 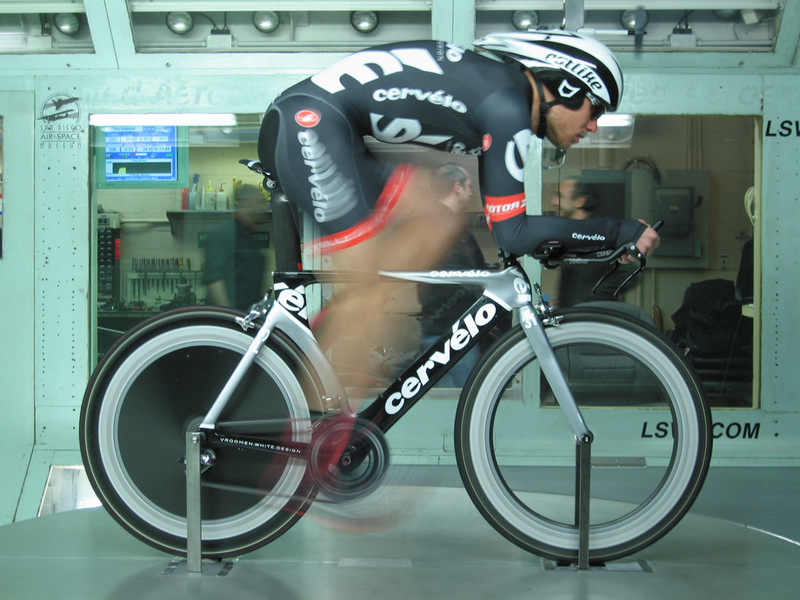 Cervélo soon eclipsed the leading company in this niche, but it was a niche. Road bikes was where the action was to be. It is fascinating to read the inside account of how little Cervélo was able to position its bikes with a Danish-based professional team, then ranked 14th in the world. Team CSC was to quickly reach the pinnacle of the cycling world on Cervélo bicycles from 2003 to 2008, including Classics wins, and stage races victories at Paris-Nice, Tour de Suisse, the Giro d'Italia and, in 2008, the Tour de France. For the 2009 season Cervélo made the decision to run its own team (it has previously managed a women's pro team). The CervéloTest Team had a strong roster and was highly innovative in its approach to not only racing—one of the goals of the team was to test new equipment and methods-- but also fan involvement. The company was an early and enthusiastic user of social media and the company's two principals, who seemed to have enough other things to manage, were involved in blogging and making videos and even designing brochures. At the same time, new and improved bicycles were constantly being developed and launched. But the CervéloTestTeam was short-lived. The plan had been to find a primary sponsor rather than the small bicycle company but that was never realized. In spite of promotional benefits (and great kit) the team clearly absorbed management time and money when it could not really be afforded and was one of a number of mistakes that, in retrospect, would show control issues. Accounting was always a challenge given the global nature of the business and inadequate working capital, the bane of small businesses, seems to have been a constant. Establishing a European presence based in Switzerland seems to have been poorly considered and was another drain on the company. Cervélo's banks in risk-adverse Canada seemed keen to pass the client on to other banks and in the end an investor was found that ultimately threatened Cervélo with bankruptcy. Rather than take that route, in 2012 the company was sold to Pon Holding, a 13,000- employee Dutch conglomerate, the same company that owns the Focus, Gazelle, Univega and Santa Cruz brands, among others. Following the sale, Gerard Vroomen eventually launched another bicycle firm, OPEN, and has taken controlling interest in Italy's 3T. Phil White remained with Pon Holding until 2012. 2018, A.Dopico Consulting Inc., Toronto. The book is currently only available online at: https://tomakeridersfaster.com/ for C$70.00 (a percentage of net proceeds support CAN Fun, a non-profit supporting Canadian athletes).